Jody James Watkins of Watkins Landmark Construction finalist EY Entrepreneur Of The Year® 2017 Award. In recognition of the Watkins Landmark Construction’s innovation, success and personal commitment to their businesses and communities. Watkins Landmark Construction has assembled a strong team of builders and staff that have the ability and desire to work on complex and intricate construction projects. Our employees are the foundation of our success to date, a company is only as good as the people they hire. Watkins Landmark specializes in building award winning cutting-edge construction projects that leave a lasting impression on the client, end users and the surrounding community. Hence, the term “Landmark” in Watkins Landmark Construction’s title. Watkins Landmark Construction’s 13+ years of experience, established relationships with architects, engineers and consultants and full range of construction services results in a seamless transition from the design through to the final construction phases of your project. Watkins Landmark Construction works as a project partner with the client, based on our extensive experience we can determine what is the best method of project delivery to suit the client’s goals. With our guidance, the client is provided with a cost effective project delivered on time with Landmark appeal. 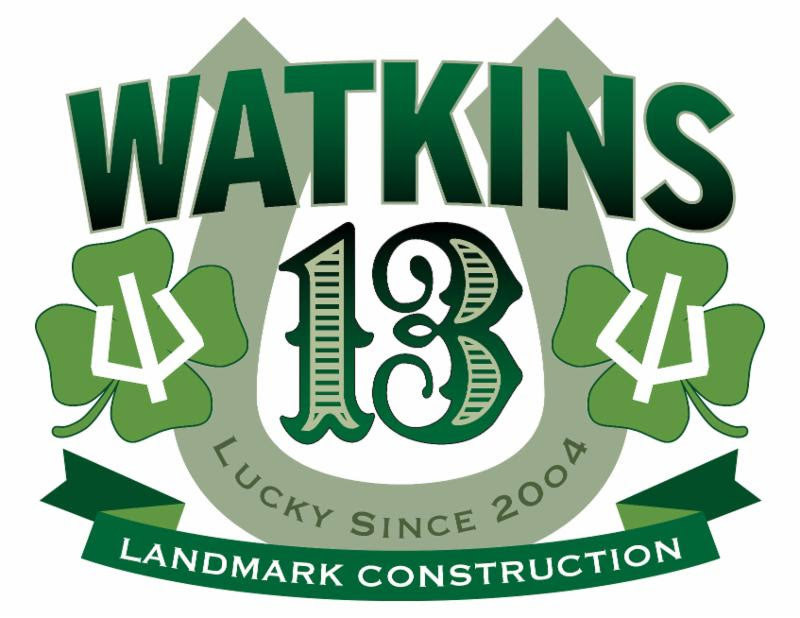 Watkins Landmark Construction has been built by hiring the best builders. The Watkins Landmark Construction team is dedicated to building your project safely, on time, under budget, and with a high level of custom quality. Watkins Landmark Construction provides a full range of services to assist clients from concept to completion of their construction project. Watkins Landmark Construction serves as an extension of your organization and capabilities. We represent your interests throughout the entire duration of the project including design, permitting and construction. Watkins Landmark has established relationships with architects, engineers and consultants in the design phase of construction projects. We use these relationships to assemble design/build teams to meet specific requirements of each project as well as each client. Assembling our design/build team early in the conceptual process results in a seamless transition through the design and construction phases of the project to its satisfactory completion. From state-of-the-art 16,000 seat stadium projects like the Indian Wells Tennis Garden raising the bar in the tennis community worldwide to the Boy’s and Girl’s Club gymnasium in Encinitas, Watkins Landmark state-of-the-art construction techniques gives fans and young athletes an incredible experience. Since founding Watkins Landmark Construction, Jody has carefully assembled what he feels is the best core team in Southern California. This team, as well as every WLC employee and subcontractor, collectively serve as the cornerstone of the company’s many successes. Watkins Landmark Construction was formed in the fall of 2004 by Jody James Watkins. The goal was to build a construction company that specializes in cutting edge projects that leave a lasting impression on the client, users and surrounding community…Hence the term “Landmark” in the name . Each of these projects required a custom level of quality done at the efficiency only a commercial contractor can obtain. This was the basis for our company slogan “Custom Quality with Commercial Efficiency”. Since Jody formed Watkins Landmark Construction, we have added a strong team of builders to our staff that has the ability and desire to work on complex and intricate projects. Spring is the time of renewal. That certainly seems to apply at Watkins Landmark this year. We have had departures, brought on new personnel and promoted a couple of our foundation employees over the last two months. As we announced in our press release earlier this month, our Vice President of Operations / COO Chris Eagen departed WLC to move his family to Florida. While we hate to lose Chris, we were fortunate enough to hire an excellent construction executive and personal friend Dennis Dizon to fill this position. Building on time, under budget, with custom quality.